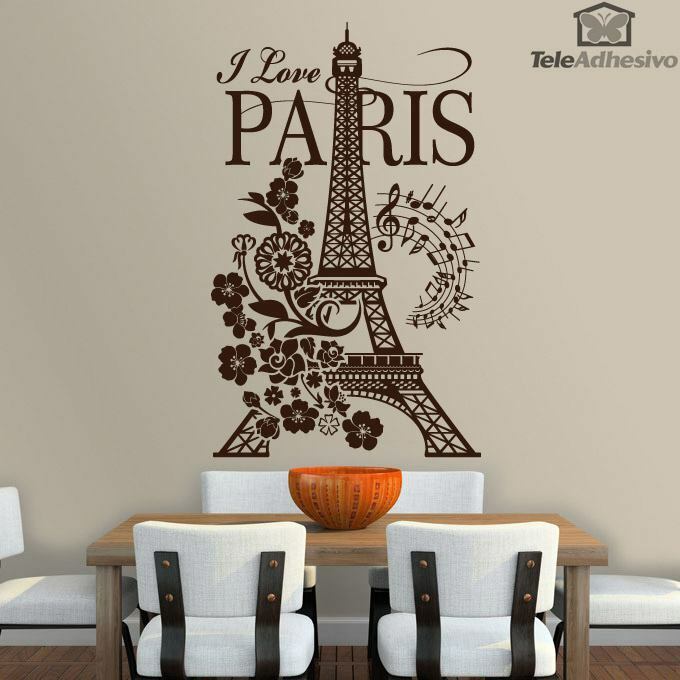 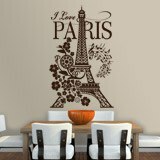 Wall sticker I Love Paris. 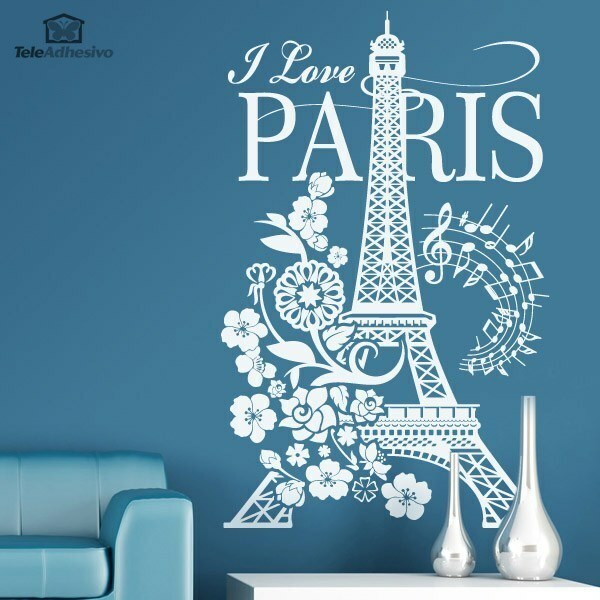 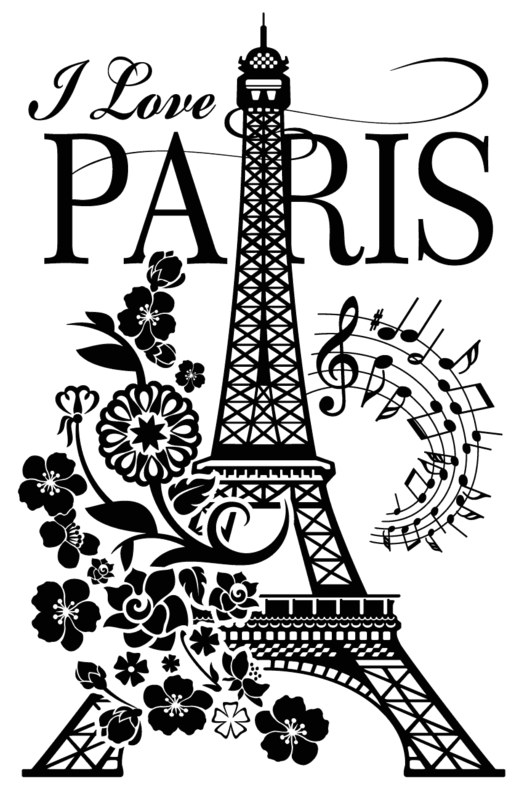 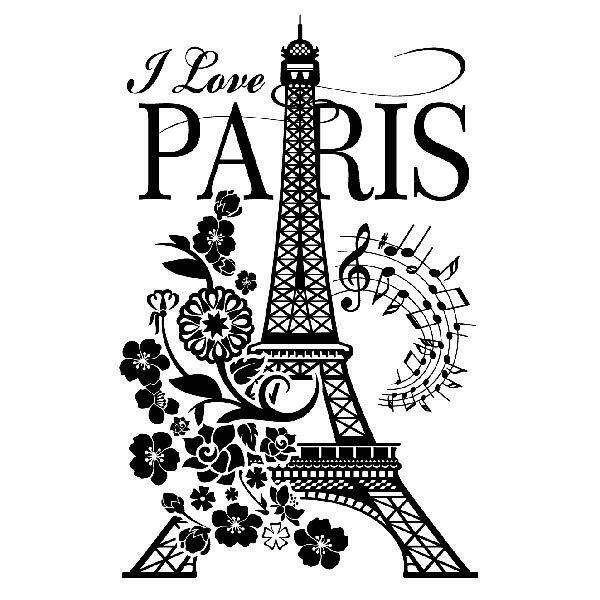 Fantastic composition of the French capital with its most symbolic monument, the Eiffel Tower, is very decorated with flowers, leaves and even some musical notes. 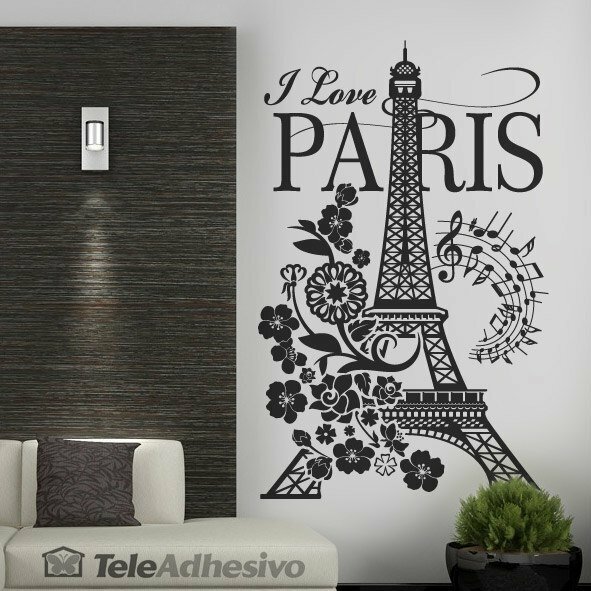 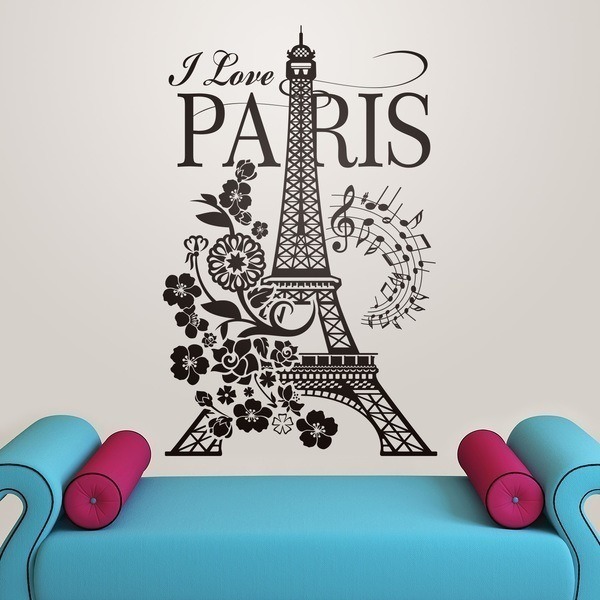 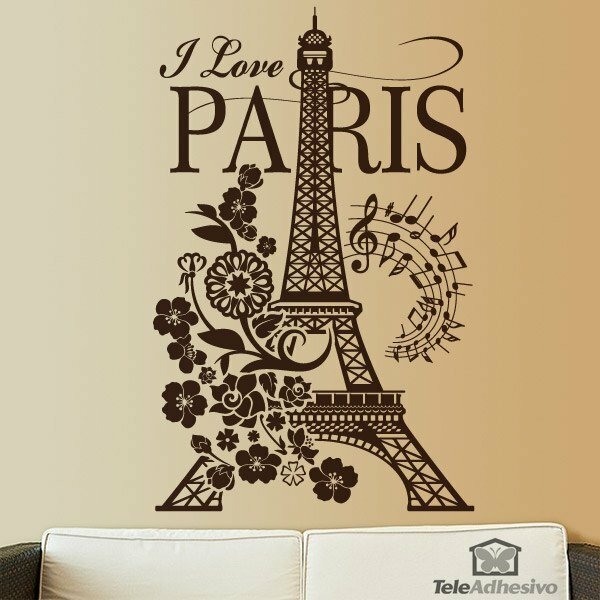 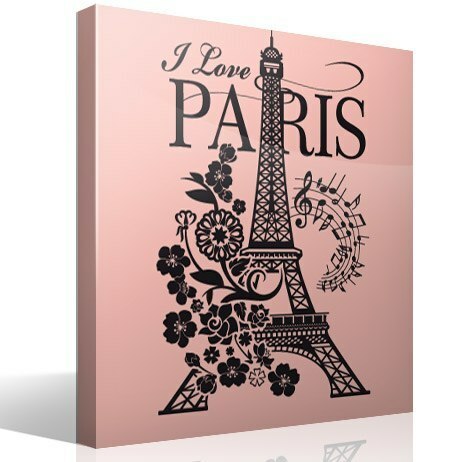 If you want your wall to have a unique badge that makes clear your love for the city of light. 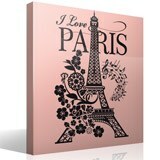 Size: 59 x 40 cm.